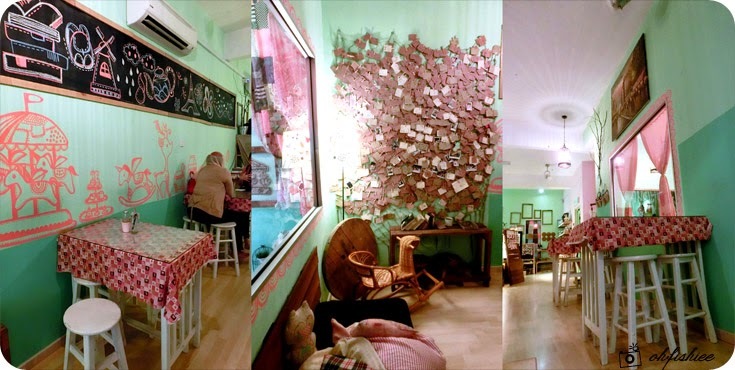 The reason I have been yearning to visit this cafe is because of the beautifully decorated interior with lovely and detailed furnishings, as well as their collection of delectable mille crepes that come in various flavours. 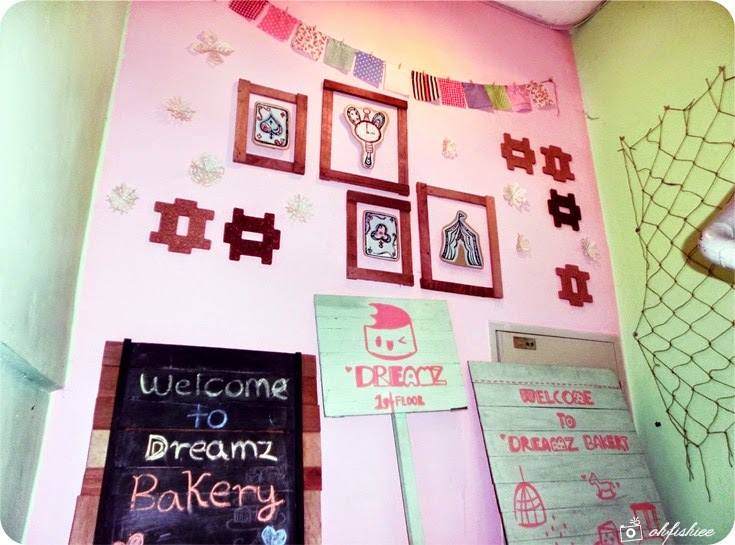 Dreamz Bakery is a love story about a pastry chef (the boy) and a designer (the girl), and I guess they want to spread the love by having sweet pastel decors around the place. 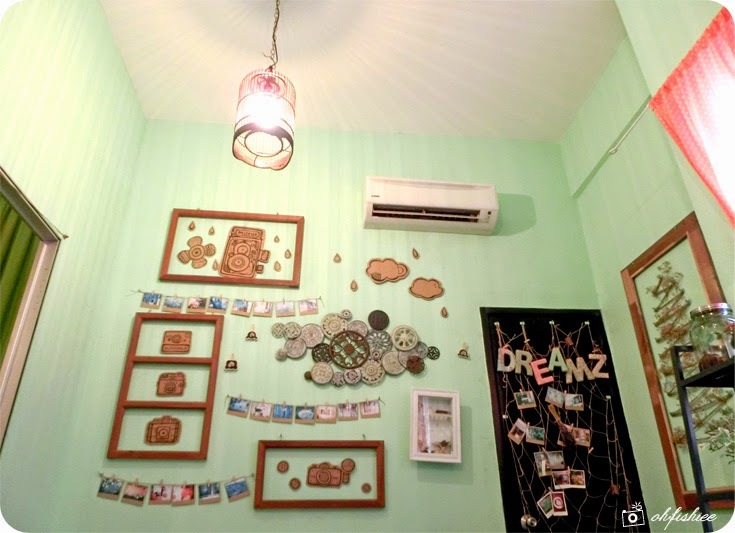 As you walk up the stairs before entering the cafe at first floor, you'd be welcomed by a dreamy ambiance that totally brings you to fairyland. At the main area of the cafe, you can sit comfortably on high stools with tall dining tables but it is rather compact and noisy for me. I'd prefer sitting on the mat with low tables inside the cozy private room there. 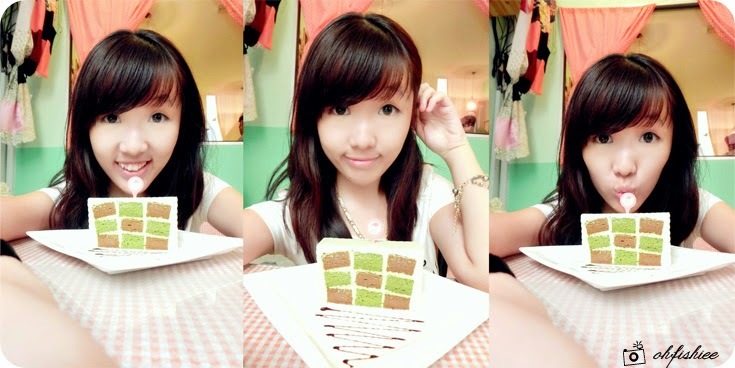 Since Dreamz Bakery is famous for its delectable cakes and dessserts, the first thing we ordered was the cute green-and-black checkered cake layered with cream. It's definitely a feast for the eyes, and worth a picture! 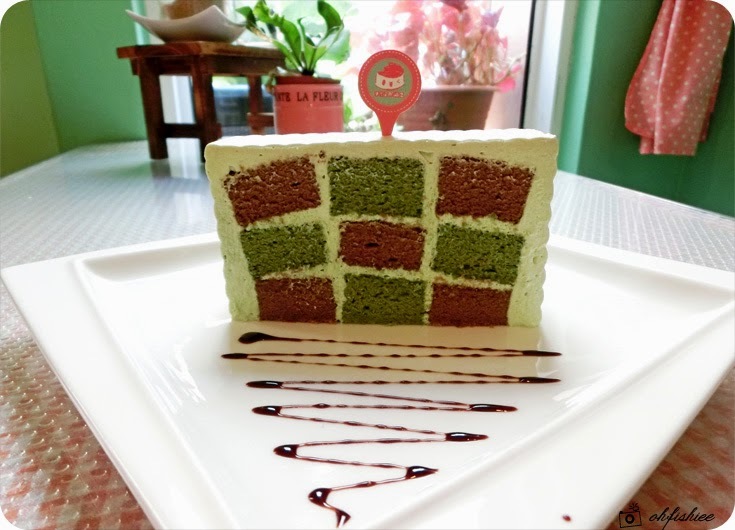 I love the way this soft fluffy green tea and chocolate sponge cake melts in the mouth along with the thick layer of cream. As much as I love desserts, the slice of cake is best for sharing as it feels heavy in the stomach... Plus, do watch out for the sugar overdose too. It looks so good that I want more pictures with it!! 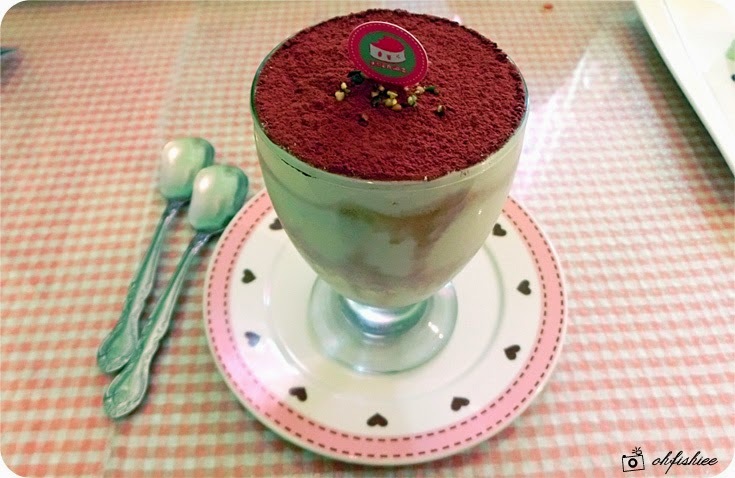 Another favourite pick of mine is always the tiramisu, best consumed while chilled. This simple, no-bake dessert is also a crowd pleaser as we adored the subtle flavours of coffee and soft layers of cake with cream. Not the best I've tried as the cake appears too soggy and is lacking of coffee aroma. 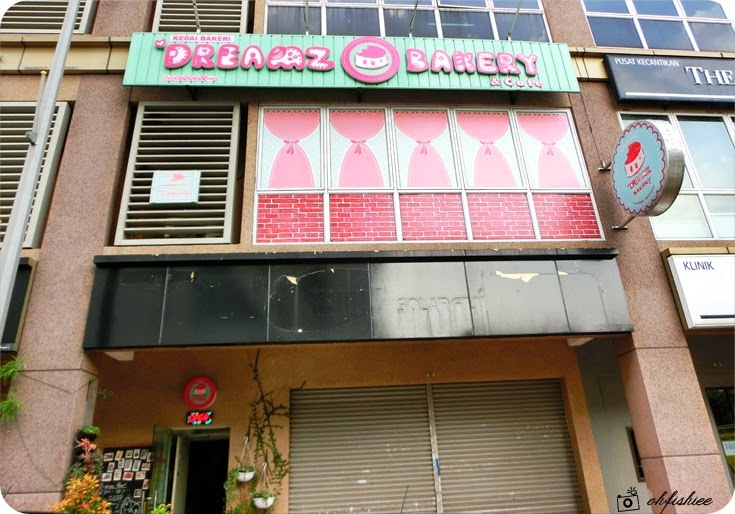 Fret not if you're not a dessert person because Dreamz Bakery boasts an extensive menu of snacks, light bites and main courses. 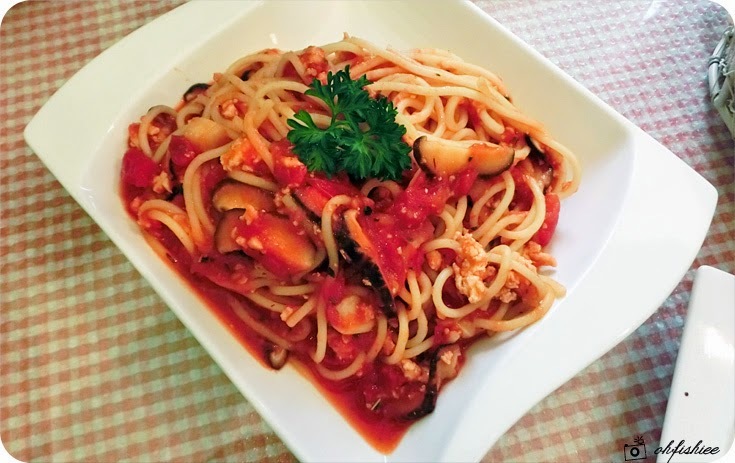 The simple yet comforting platter of spaghetti seems ordinary, but the portion is generous and filled with loads of mushroom and minced chicken. If you wanna save some space for desserts, I'd suggest you to go light on the main course by opting for some sandwiches, toasts or wedges. 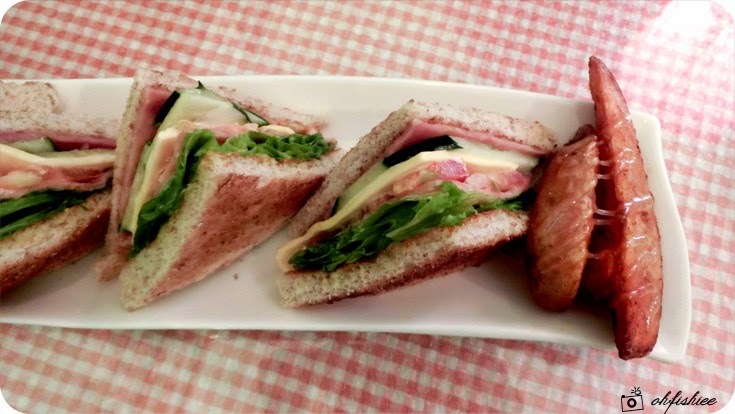 Comes in 4 pieces in a platter, the toasted sandwich is layered with turkey ham, cucumber, cheese and tomato but they're rather dry on the bread and soggy inside. 1. Cakes and desserts look perfectly good here, but tastewise there is still room for improvement. 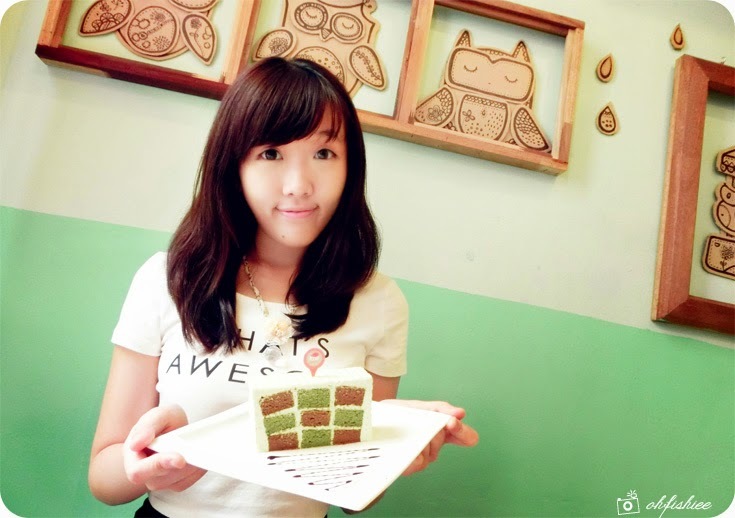 I'd definitely be back to try out their mille crepe cakes! 2. 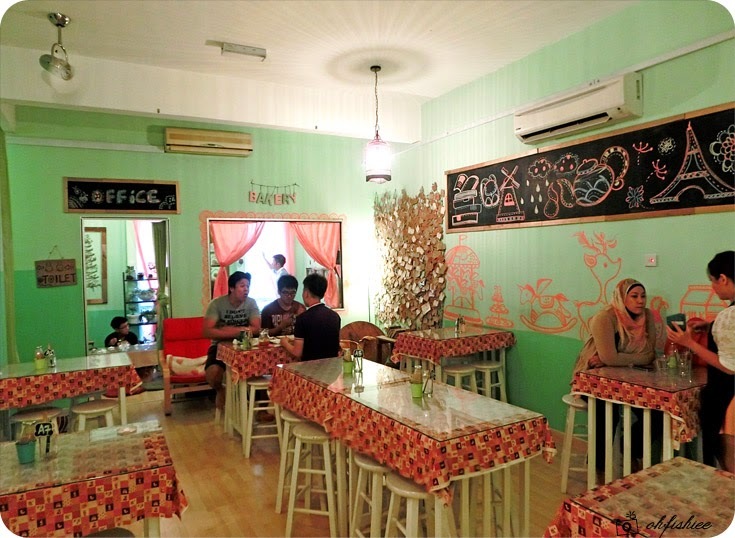 Overall, it is a great place to date my girlfriends or to chill with a bunch of mates. 3. Reason to revisit: For the relaxing, dreamy ambiance and lovely photo taking opportunities. 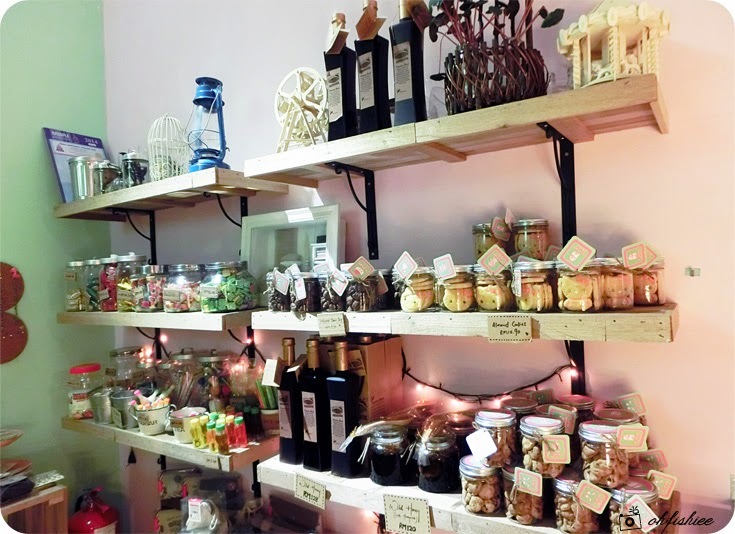 Oh my...the interior of the bakery is so cute!